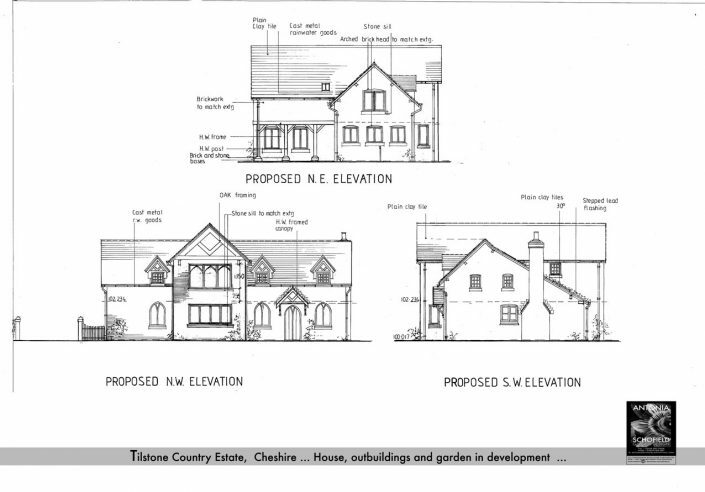 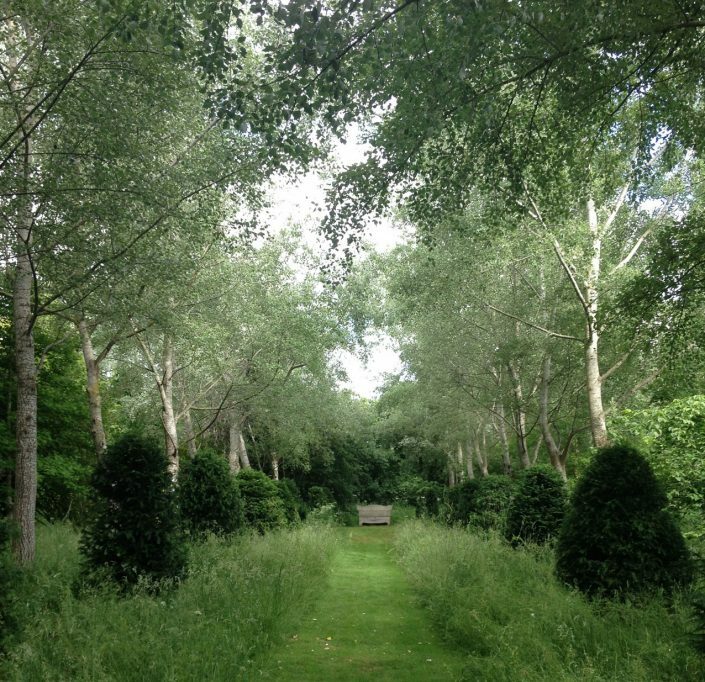 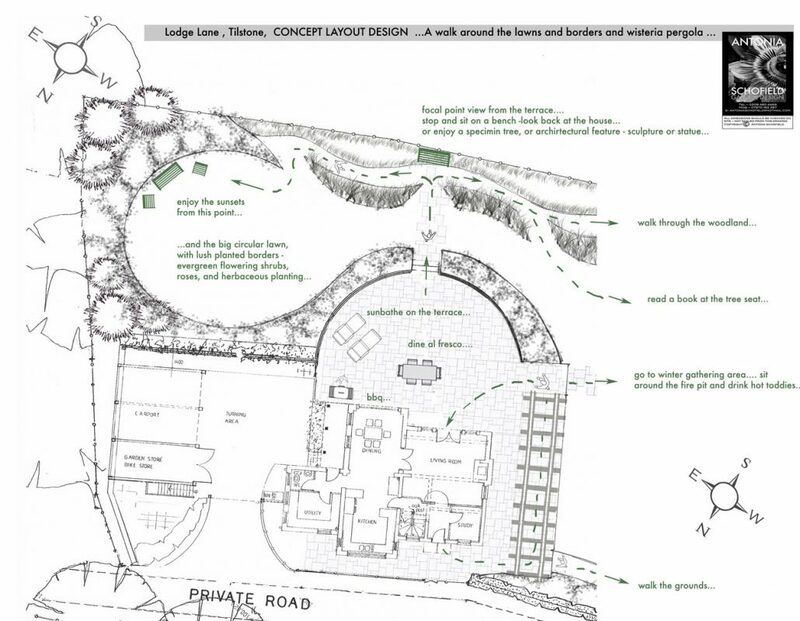 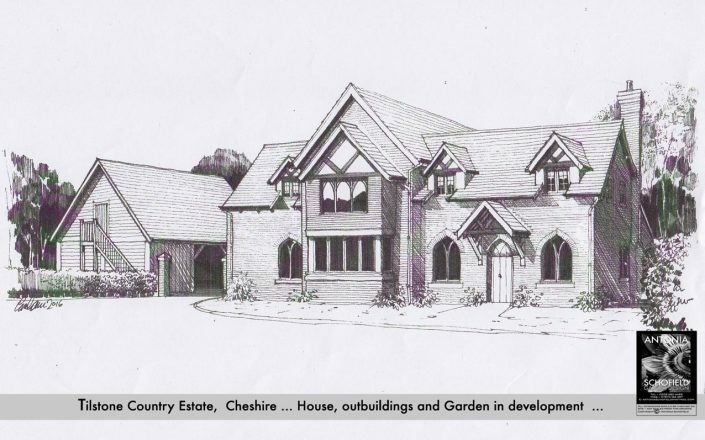 This project was a dream brief – substantial grounds to be developed into a charming classic Oak timbered country house and outbuildings and a complete blank canvass as to how to develop the garden surrounds. 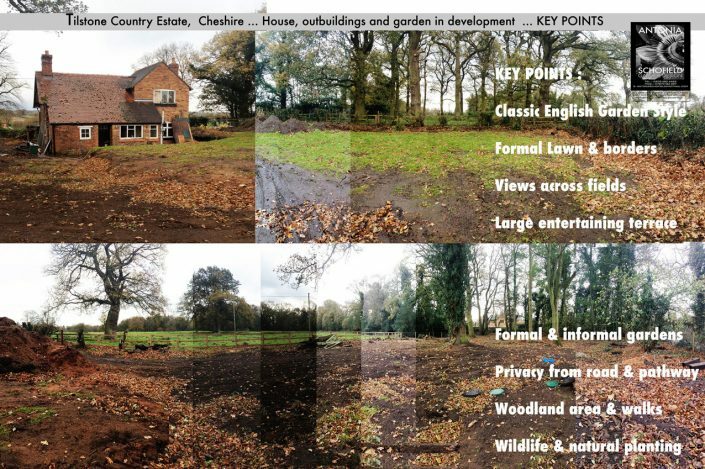 As the new house and grounds are sited in a rural setting the aspect and character of the land is key to the success of the design. 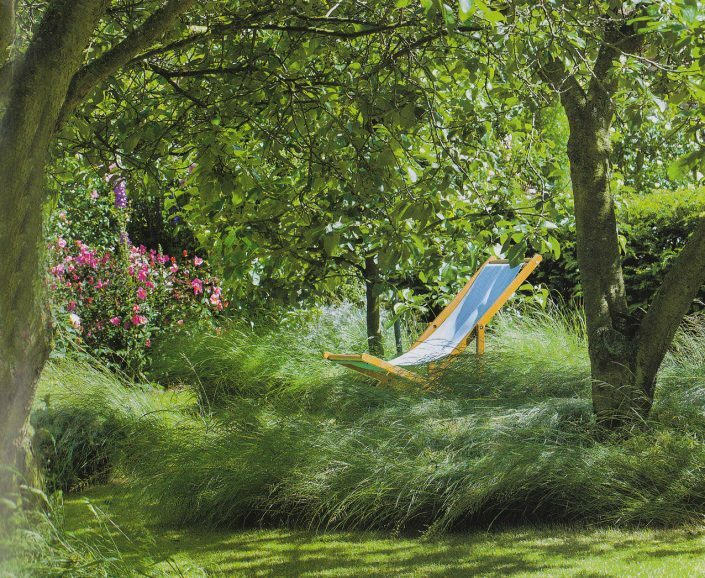 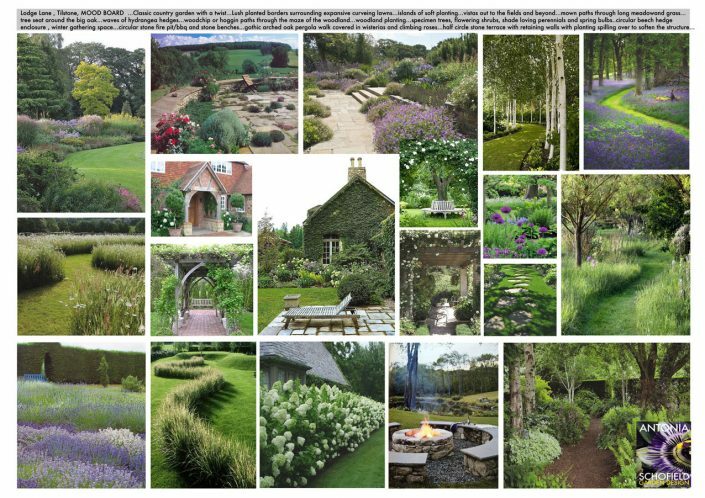 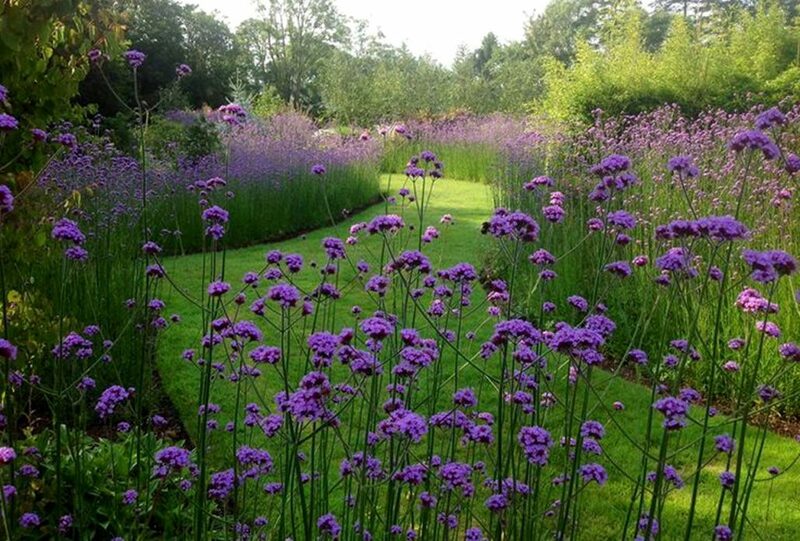 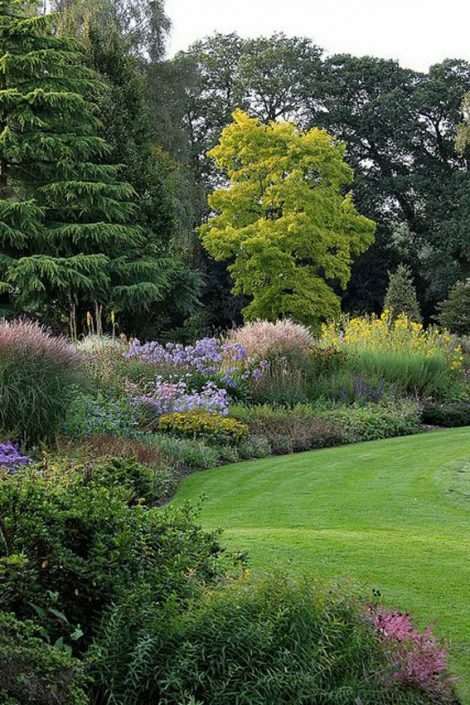 The client has a huge passion for romantic ‘English’ gardens and wanted to create new spaces that he could enjoy from different aspects, and take advantage of the views and countryside. 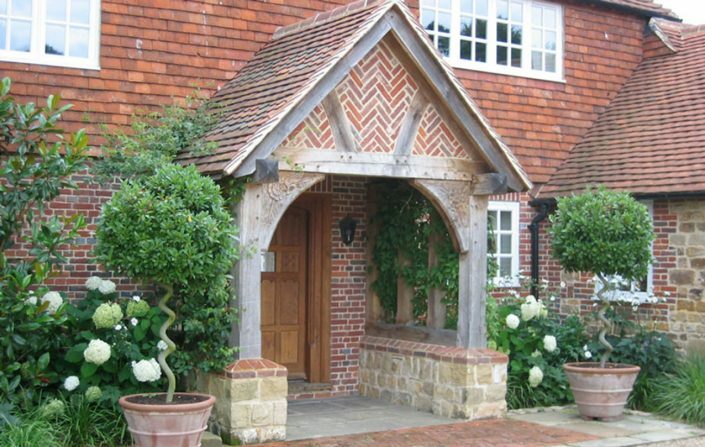 The architecture of the house with its pitched eaves, oak beams and gothic arched windows provided key inspiration and design style for the garden, and would determine some of the garden features. The grounds are to have two distinct moods and styles, and views and site lines are very important to create from the large semi-circular stone entertaining terrace across to the adjoining fields and ‘borrowed’ landscapes. 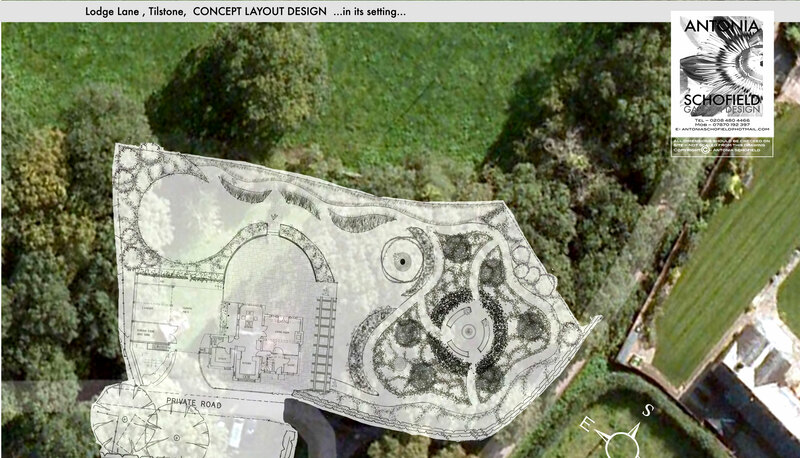 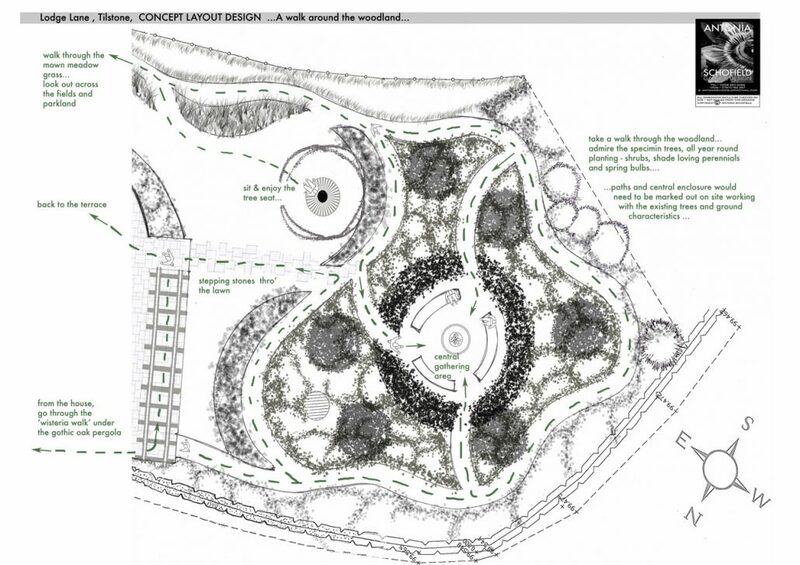 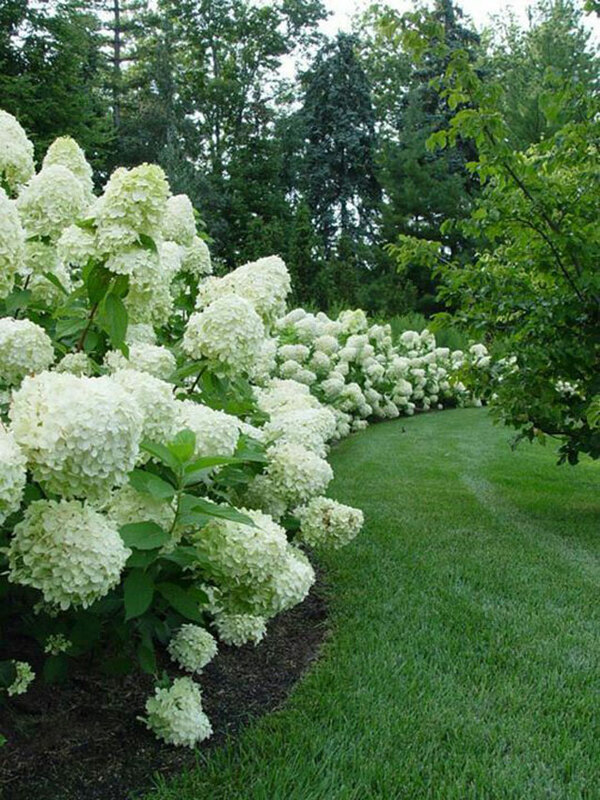 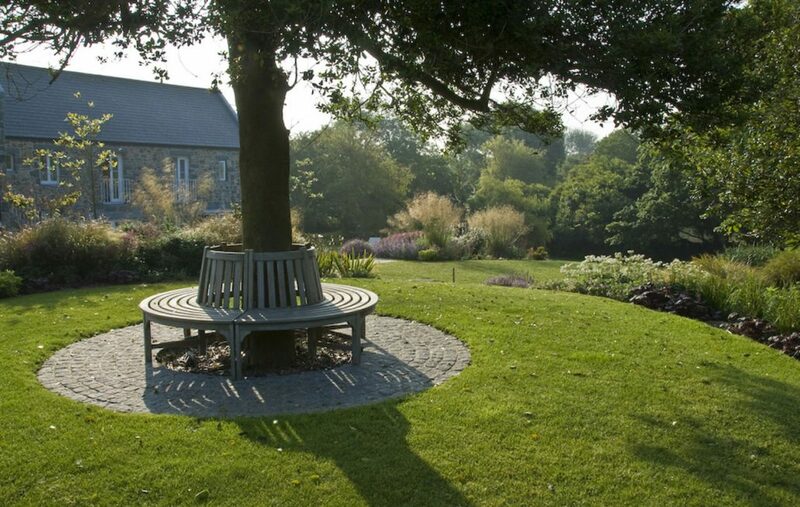 The first area will be a formal circular lawn, blending with the curves of the terrace, with deep curving borders fully planted with trees and flowering shrubs. 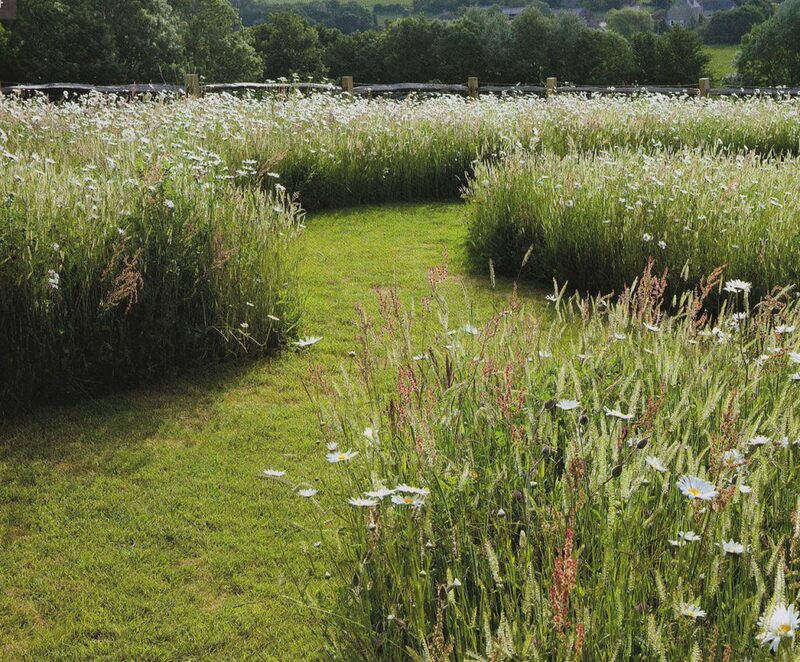 Islands of grassy/meadow style plantings would curve sinuously in front of the field boundaries and these would lead into the more informal woodland area with mown paths through the trees. 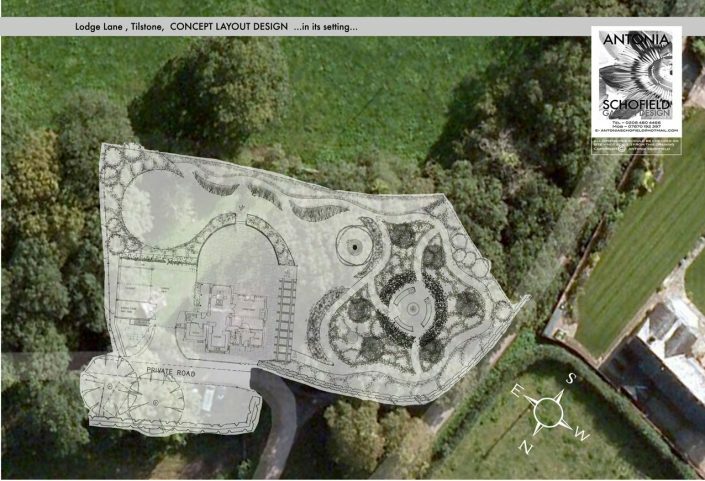 The second area will be a woodland garden with mown paths through the trees, leading the viewer on a journey with a few surprises like the circular beech hedge enclosure hiding the winter gathering place and fire pit. 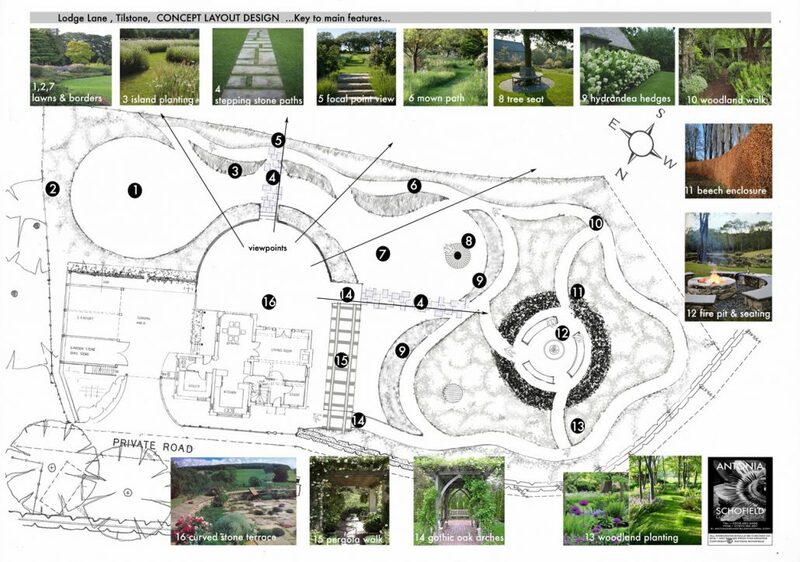 The planting scheme will be all about the romantic English country garden, and each area will be themed by plant type, colour combination, and textures.